Thousands of otherwise healthy men and women battle infertility, yet scientists still have no explanation as to why. This has led scientists like Altair Dubé, Biology ’18, to study fertilization at the molecular level. What scientists do know is that when the sperm and the egg fuse, the newly fertilized egg begins to work overtime, producing a huge amount of brand new proteins in order to divide and grow. Thankfully, as these new proteins start to proliferate, a set of helpers are involved in this process. Known as molecular chaperones, these regulatory molecules function to mediate cellular viability by binding to proteins and ensure proper folding. Dubé believes that understanding and finding molecular chaperones at the point of fertilization could provide a key for scientists to develop drug therapies that increase fertility. 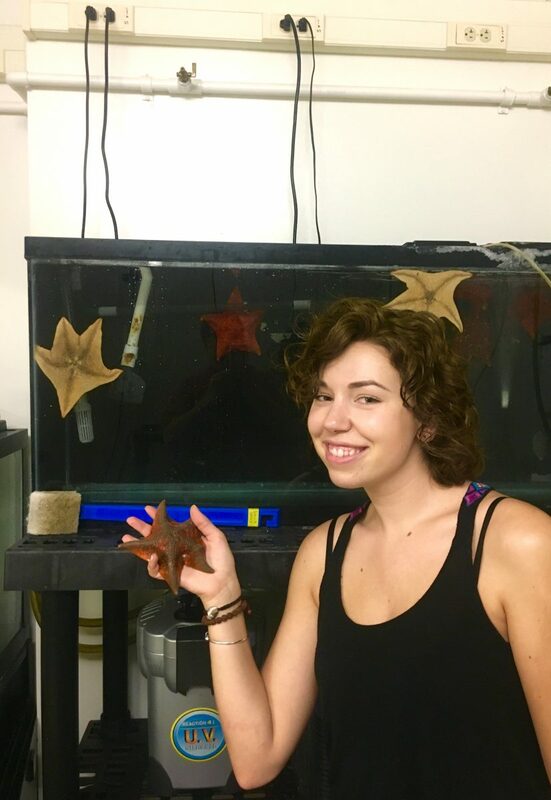 Dubé’s student design and research project, Investigating the Housekeepers of the Cell: Molecular Chaperones at Fertilization, developed a model for identifying these molecular chaperones using starfish. Why starfish? For one, they fertilize externally, so it provides researchers like Dubé a non-invasive way to capture eggs and fertilize them in a test tube. In addition, the starfish can carry millions of eggs at a time, so there are always plenty to work with in the lab. Using both lab and computer-based techniques, Dubé discovered an array of new proteins in the starfish model. Through her discovery, she found that molecular chaperones may be involved during early fertilization. Dubé believes these findings can one day help us better understand human fertility at the molecular level. It’s Dubé‘s hope that by identifying the molecular signals at fertilization, scientists can develop drugs that either inhibit or activate fertilization. This includes drugs that infertile patients could take that would be designed to increase their likelihood of successful fertilization. Dubé attributes much of the success of her findings to bioinformatics, which is the science of collecting and analyzing complex data to better understand biological processes. Dubé says that bioinformatics databases (like GenBank from the National Center for Biotechnology Information, SwissProt from the Swiss Institute for Bioinformatics and PIR from the Protein Information Resource) enabled her to identify brand new proteins and the genes encoding them in just a matter of minutes, all at the comfort of your own computer. Before Dubé made her discoveries, she joined the lab of Dr. David Carroll. Once she got into his lab sophomore year, she realized it was worth the wait. 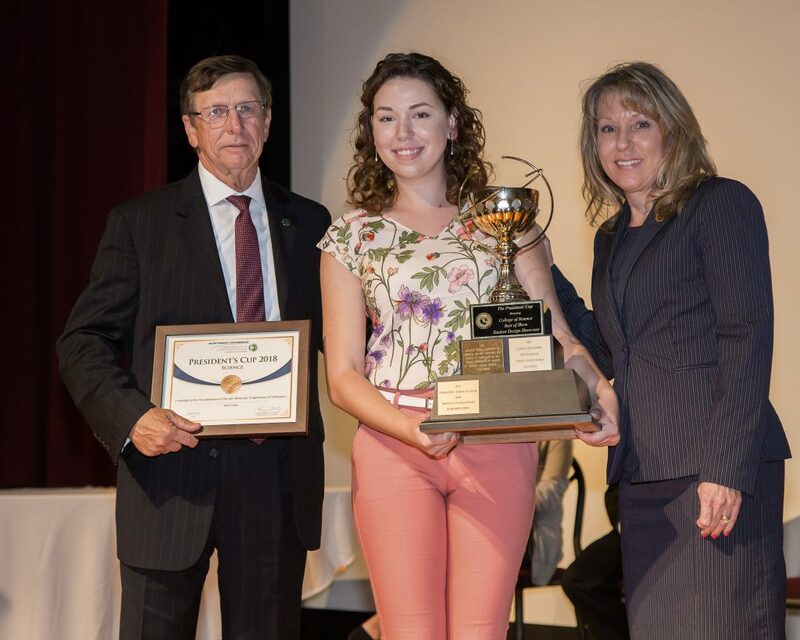 Her passion, coursework, and mentorship from Dr. Carroll paid off at the 2018 Northrop Grumman Engineering and Science Student Design Showcase, where she was dubbed the “triple crown” by Florida Tech President Dr. McCay. She took home best in show for biological sciences, the Northrop Grumman Award for Science and the President’s Cup for Science.